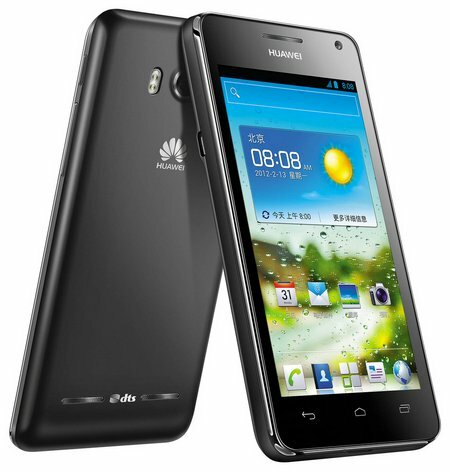 Huawei has announced the launch of its latest Android smartphone called the Ascend G600. The smartphone runs Android 4.0 and has an eight-megapixel auto focusing rear camera. The phone also features a pair of speakers with DTS surround sound to provide high-quality audio on the go. Huawei promises that the new smartphone will provide more visual clarity, more speed, and more power for smartphone users. The mobile phone has a 4.5-inch IPS LCD screen with a resolution of 960 x 540. 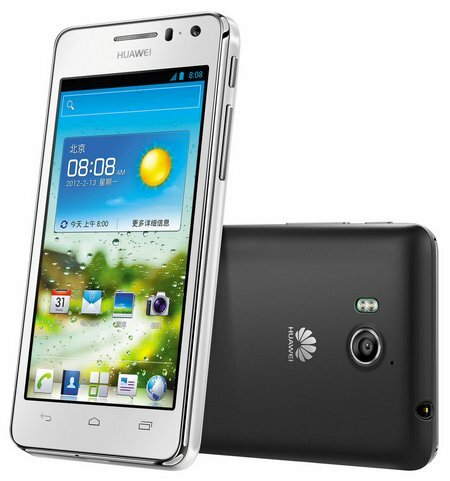 The phone uses a 1.2 GHz dual-core processor. Power comes from a 1930 mAh lithium polymer battery that can be fully charged in four hours. The phone promises to start quickly with power on in only 5 seconds. Standby time for the smartphone is more than 15 days. The phone has a number of other features, including integrated Wi-Fi Direct, Bluetooth, and DLNA compatibility. Wi-Fi Direct allows the smartphone to connect to other compatible devices without needing a wireless network. That will make trading files and photos on the go simple. The phone has 768 MB of RAM and 4 GB of ROM storage. The device has a micro USB port and supports microSD cards up to 32 GB for expanded storage. The dual-core processor is from QUALCOMM, and the phone supports NFC mobile payment technology. The phone will be offered in black or white in select markets starting in September. Pricing is undisclosed at this time. Parece bastante interessante mas em princípio só troco o meu G300 quando arranjar um Tel tipo este mas com um display com uma resolução 1280x720 + JBean. Claro que se isto chegar cá a 200~225€ talvez ainda pense nisso. Já aparece na *****, e na amazon alemã também, demorará mt até que alguma operadora nacional lhe pegue?? este Huawei Ascend G600 parece interessante, na Amazon Alemã está sem stock e custa 300€ + 5€ de portes (valores arredondados) e não passa na alfandega porque vem da UE. Vindo da ***** custa 215€ + portes grátis e tem que passar pela alfandega. Alguém me pode ajudar em qual será a opção mais económica ? Ou esperar mais uns dias/semanas que a Amazon Alemã reponha o stock e ter a certeza que compro pelos 305€ sem mais taxas "surpresa" ? Nunca fiz compras de valor superior a 50€ fora da UE e estou baralhado em qual a melhor opção a tomar. Alguém com conhecimentos sobre este assunto me pode ajudar ? Já está em pré-venda na fnac por €299. sabem dizer qual é o gpu que vem com este modelo? Muuuuito interessante. Até está competitivo com um SGS2!